Our federal government is failing our American Indian, Alaska Native and Native Hawaiian children. Thank you for standing with North Dakota leaders in calling on Congress to support our country�s Native children. Thank you for standing with North Dakota leaders in calling on Congress to support our country�s Native children. Thanks Nancy. Signed, noted , & shared gladly ! so high, that if flutters in the sky above them! They are an amazing people! 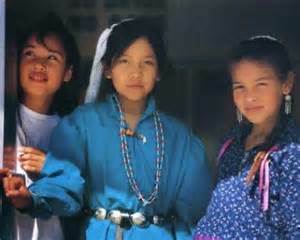 The federal gov't could do a lot to help these kids by providing native communities better education and jobs training; by helping the parents get jobs and get substance abuse treatment/anger management/mental health treatment where needed; better access to clean water, healthy food, and better housing; and overall, better infrastructure that is desperately needed on many reservations. noted, signed & shared - thanks so much Nancy!